Learn The Importance of Cat Nutrition and Feeding Your Cat Meat! 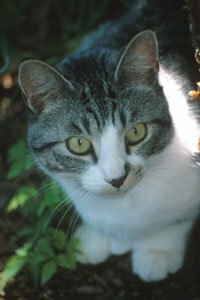 In this article, you will learn about a cat's eating habits and cat nutrition requirements. Cats are among the leanest mammals in the planet. Some people adore the body structure of these animals because they basically consist of muscular mass, rather than of fats. Therfore, you may notice that cats can move very swiftly, which makes them effective in hunting for food by predating on other animal victims, the most common of them the rats. In general, cats are carnivorous in nature. Carnivorous animals are those that are highly reliant on meat for food. Rare do these animals tend to eat pure vegetables. You may notice that the teeth structure of cats is very much intended for its carnivorous lifestyle. Those teeth are arranged by nature for grasping, tearing and puncturing. Thus, when cats bite, they really are tearing the flesh of the victim. That special arrangement of the teeth of the cat make up for the cat's uncanny ability for predation and meat chewing. Cats need more protein than most other animals. Because cats are highly carnivorous, they need meat, raw or slightly cooked, to attain the recommended dietary protein allowance. A cat's body is especially structured so that they do not need much in the way of carbohydrates. But with the unique agility and energy of cats, where do they get that surge and seemingly endless supply or vigor? The digestive system of cats, like most carnivores, is especially structured in a way that protein becomes a staple. Protein is converted into energy, or carbohydrates, and other body needs. The liver of the cat is equipped with the necessary enzymes to make this process possible. Thus, you may notice that the eating habits and preferences of the cat is different from that of say, a cow. Cats need protein the more they age. Compared to dogs, cats are unique because as they grow old, the more their body needs more protein. Dogs only require protein while they are puppies. When they grow up, their protein requirement significantly depletes. Meat for cats can either be raw or slightly cooked. However, veterinarians and experts recommend that the meat be slightly cooked, in order to prevent contamination in the surface of the meat. You might wonder how cats become healthy by eating raw meat in the jungle, and the answer is simple. The meat eaten by those cats is so fresh, that they are almost always taken abruptly from a new prey. Cats, like almost all animals, including humans, need the six groups of basic nutrients for survival and healthy metabolism. The nutrients are vitamins, minerals, essential fatty acids, energy, water, and of course protein. You may be amazed at how the internal body structure of the cat is able to get all the six nutrient groups from the meat the animal ingests. As mentioned above, meat has protein and a portion of the food element is converted into carbohydrates in the liver. Well, the same meat is also the source of minerals, vitamins and water. You may wonder, how can that be? Raw meat has water content, that when the food is ingested, there is instant water supplied to the digestive system of the cat. Cats usually eat smaller prey, and those prey most commonly eat plants and vegetables, giving the cat instant vitamins in the process. Other minerals are derived by the cat body from the internal organs of its prey. Pretty amazing, isn't it? Thus, experts advise that cats in the wild are still far healthier and in better shape than those that are bred by veterinarians and pet owners. That is because the natural food order for the cat is achieved in the wild, unlike when the cat is raised by a pet owner. Cat foods are proven to be complete in all the nutrient requirements of the cat, but they are still falling short when compared to natural and raw food hunted in the wilderness. Now, you understand the anatomical and nutritional need of the cat. If you are really determined to improve the overall health of the cat, then, take actions to supplement the pet with the basic raw nutrients.